Jan. 31 the team traveled to Santa Fe Trail to take on a friendly rival in the final duel of the year. Both teams are very familiar with each other as we travel together every summer out of state for camps, and we knew it would be a fight to the finish. However, the Blazers came out hot again and buried the Chargers into an early hole they couldn’t climb out of with the good guys coming out on top 36-33 to finish the season undefeated in duels this season – a huge accomplishment for the team. A special thanks goes to Coach Mark Simoneau for being an honorary coach for us this week. He joined us for practice all week, traveled to last night’s duel and gave the team an amazing speech to keep us motivated and battling. 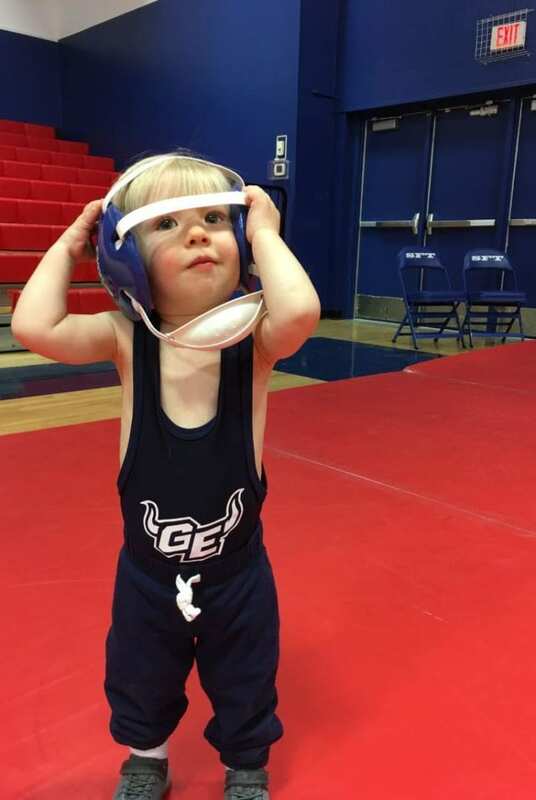 In the battle of 101 pounders (yes the weight is 106) Dean Marshall proved to be the toughest little man on the mat. 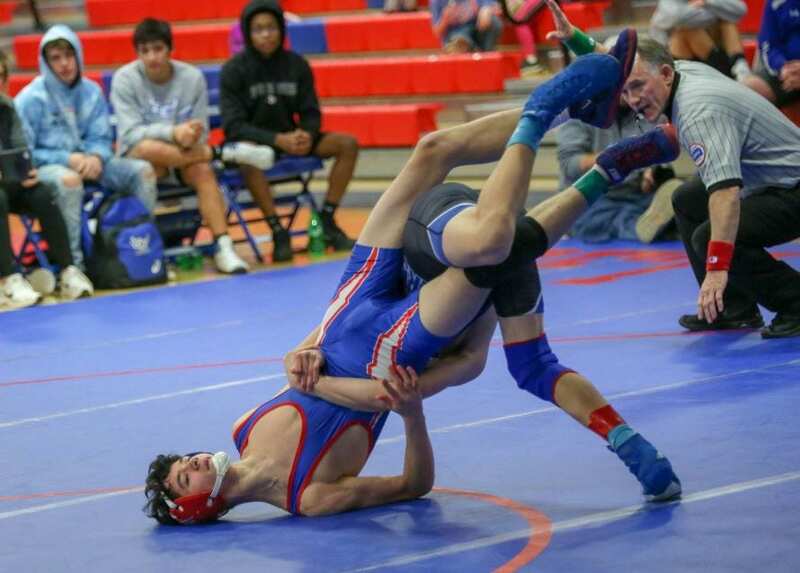 Collin Smith got a pin over an opponent that confused wrestling for boxing. He took numerous ugly shots to the face and a real beating while holding his opponent down to get the pin thanks to a referee being out of position. Brayden Ratcliffe did what he does best, walked out on the mat without a care in the world and then morphed into a caged animal blowing by his opponent. Kadyn Humphrey had the match of the night. He beat down one of Trail’s biggest studs in the match that truly took the air out of the opponents and totally put it in our control. Give him a big shout out today if you see him. AJ Rodriguez wrestled a smart match and totally neutralized a very dangerous opponent. Brendan Oshel was tied late in his match when he exploded and threw his bigger opponent straight to his back for a pin with only seven seconds remaining leaving us needing one win with 4 matches left to win the duel. That win came from Caden Rodriguez the very next match. He won the world’s longest match 1-0 in something that resembled two bear cubs rolling around playing than a serious match – but hey, we won! Varsity has a much needed weekend off before heading to the league tournament the following weekend. JV concludes their season tomorrow with the JV league tournament.